Help Celebrate College Spirit and show support of students in Your Community! The goal of wearing your college gear in September around your area college fair time is to show students we support them on this journey after high school. We ask that you encourage staff, faculty, administration, parents, community members, and beyond to wear a shirt or clothing representing the college they attended (preferred). They could also choose to represent an institution nearest their community or simply choose a college or higher education option they are a fan of or support. Our hope is to have a tremendous cross-section of higher education from all Montana institutions being represented as well as many out‐of‐state colleges, private universities, ivy‐league institutions, training programs, etc. represent also. WHEN Should You Wear Your College Gear? Join us this September! During the month of September, there will be three weeks of celebrations in Eastern, Central, and Western Montana. During the week of your area College Fair, we ask that you wear your college gear to show students your support of them and higher education. *See the detailed schedule of events below for your area celebration. Please see the official schedule of events at the following link for specific locations of college fairs. You may talk to your area high school counselor if you would like to know the exact fair they have chosen to attend. Thank you! 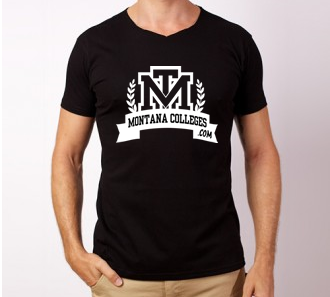 THIS MONTANA CELEBRATION WILL BE HAPPENING DURING THE SAME WEEK OF THE MONTANA COLLEGE FAIR IN YOUR AREA! *CONTACT YOUR LOCAL HIGH SCHOOL TO SEE WHEN THEY WILL BE CELEBRATING!